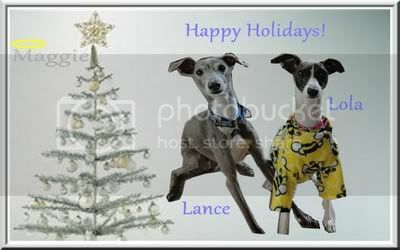 Our Tony (Antonio) - Rememberances - "IG Whispers" Italian Greyhound Forums! 5 years ago and he pulled through. But this time we could not pull him through. in a Grand Maul Seizure. I took him to our room and put him on the bed. Called my hubby at work to come home. I called a friend of ours with GPA and she said to put ice on the bottom of the back of his neck, which I did. I went looking for Gabbie's Phenobarb but could not find it. stroke. We called our vet at 9 who said since he was out of it to come in the following morning. would help him like he did 5 years ago. But to no avail. We took him to the vet to do the dirty deed. cobalt blue urn titled "Angel Wings". Antonio Hix May 4, 2005 - December 11, 2012. Rocket Angel Italian Greyhound Rescue, East Coast Florida Rep. I am so sorry about little Antonio. You did everything you could for him. My heart goes out to you. Rest in peace sweet Tony. ETA: The urn sounds beautiful. Interests:My main interest is loving and caring for my 2 IG girls, Allie and Riley, as well as my cat, Sabrina. I adore all animals, but I have a passion for IGs. This passion began with my first IG, Tara, who is waiting for me at the Rainbow Bridge. I love anything that involves IGs; spending time with Allie and Riley, attending East Coast IG Rescue events, SHOPPING for Allie's and Riley's wardrobes, and of course, communicating with other IG Whispers members. Aside from IGs, my interests include reading a variety of genres and being with friends and family, especially my 13 year old niece, Ella. Professionally, I am a reading specialist for first and second grades. Although I enjoy teaching, the best thing about my job is the long summer vacation, during which I am free to spend endless hours with Allie and Riley. I'm so sorry, Marsha! May he rest in peace. Interests:IGs, cats, mystery books especially historical, classical music and singing. Marsha, I'm so sorry. He was a beautiful boy. Interests:Spending time with my Iggies and kitty. Reading good books. Staying fit and finding new healthy recipes. So sorry to hear about Antonio. Interests:My interests involve Anything and Everything IG. I have been making my own raw diet since 2006 and now am a big fan of dehydrating...now making all my dogs treats as well. I also love sewing and enjoy making reversible harness vests. with them, how real the emptiness is, how profound is the silence these creatures leave in their wake." I'm so sorry to hear about Antonio! May he run free at the Rainbow Bridge, with our Chase. Interests:Reading, my husband, our new daughter: Evelyn, playing with Stevie and Bonnie, listening to music, cuddling with my husband, admiring Stevie and Bonnie, cooking and baking, and just hangin' with my family! I am so sorry to hear of your loss. Tony had several wonderful years with you, and I am so sorry that your time with him was cut short so suddenly. I bet he's waiting for you at the bridge to show off how great he can run without health problems now. Hugs to you and your family. I am so sorry to hear this... Major hugs to you. You gave Tony the best life possible and then did the right thing by him when he needed you to. He knows how much you love him. Pippin and Me, Texan to the bone! I am so sorry for your loss, I have been following his story since you started on the boards and was so happy about his turn around. He will be in good company at the bridge and enjoy being young again. I am so sorry to read this. May memories of Antonio bring you comfort during this difficult time. I am terribly sorry for your loss. It is wonderful that Tony spent his life with you being loved and taken care of. Interests:I love reading a doing research on IGs and their care. I also spending time with my horse, cat, and my SO. I spend a lot of my time trying to decide where my place is within this world. Rest well, sweet boy. I am so sorry for your loss. That urn sounds like a wonderful fit for your dear baby. Big hugs to you! Interests:Spending time with my IG daughter Gracie and when she will let me reading anything from Lynn Kurland and Melissa Mayhue. Camping & walking with Miss Grace. Playing SIMS, Nintendo DS games and connecting with other IG friends on FB, IGW and at Playdates. Going to Renaissance Fairs. Cooking and baking. Marsha, I am so sorry to hear about Antonio. May he be running and playing without any pain at the rainbow bridge. You and your family are in my thoughts and prayers Marsha. Interests:Iggies, iggies and more iggies, and besides that photography, reading and anything doing with iggies! I am so sorry for your lose. Please take care. Thank you everyone. It has been a rough several weeks for us but we are working it out. Interests:I like nature, the outdoors, animals, and take'in photographs. I love music and dance'in. I like to garden and enjoy take'in walks with my IG's! That's all I could really think of for now! I am so sorry to hear about your sweet Tony. I am also sorry to hear you had to deal with such a stressful ending to his life. You did do the right thing for him. Esp since the seizures were so bad at the end. Poor guy. I believe he is running free at the rainbow bridge with all the other animals lost. Take care and my thoughts are with your family at this time!! I'm so sorry to read about Tony. It' so hard to lose the ones we love so much. Rest in peace sweet Tony. You will be missed by so many that love you. Thank you everyone. I am doing better than I was. But I still see Tony in the house. I have even called Raffie, Tony at times. Well it has been almost 10 months without Tony. I truly miss him so much. His paws on my shoulders were the best. My shoulders miss that so much. You were one special boy to mom. I love you. I lied in 2012. I still miss him and cry about him all the time. I am just not able to get over lossing him. It is coming up on 4 years since I lost him and all I do is think abouot him daily.